Simple Supper: One-Pan Salmon Dinner—No Smell, No Clean Up! / Hey, EEP! Simple Supper: One-Pan Salmon Dinner—No Smell, No Clean Up! Okay, friends. 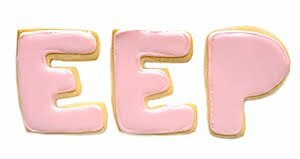 Question: What's your main weeknight dinner hangup–the thing that makes you dread going home and cooking for yourself after work Monday to Friday? For me, it's dishes. Chopping, too, I guess—especially if the ingredients are smelly! That's probably why I almost never make fish at home. I know! It's tasty and so good for you, but I'm a crazy person when it comes to keeping our apartment smell-free. That's what prompted my latest post on Refinery29: This one-pan salmon dinner (for one!) that has no smell and no clean up! The secret is a tightly sealed foil pack that you roast in the oven. If you're super lazy you could even eat your meal right from the pack, then just crumple it up and throw it away. To avoid doing any chopping at all, keep the grape tomatoes whole and swap in a cup or so of frozen, cooked brown rice for the potatoes. 1. Preheat the oven to 400˚F. Lay 1 large piece aluminum foil (about 14 inches long) horizontally over a pie plate or other shallow baking dish. Lay another large piece foil vertically over the first foil layer to make a plus-sign shape; top with another horizontal layer for extra protection! Gently press the foil packet into the pie plate. 2. Put the potato slices, tomatoes, spinach, capers, 2 teaspoons olive oil, and 1/4 teaspoon each salt and pepper in the center of the foil packet; toss to combine. 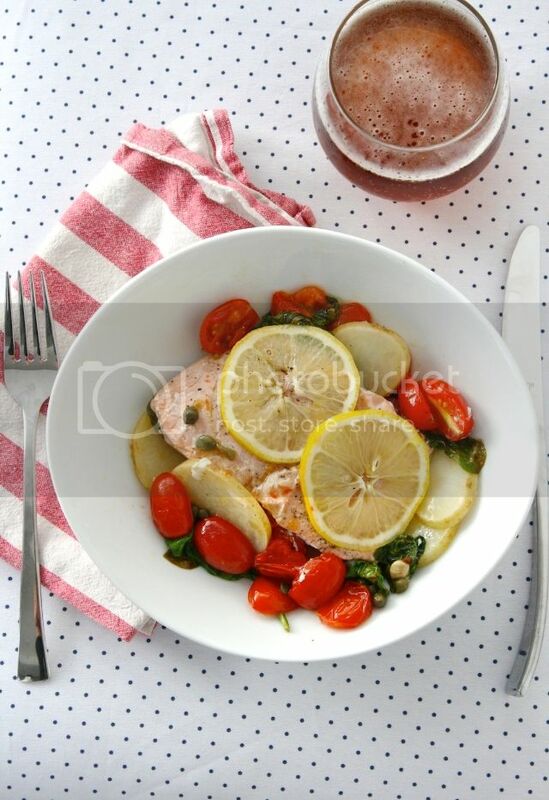 Top with the salmon; sprinkle with the remaining 1 teaspoon olive oil, the lemon juice and 1/4 ateaspoon salt. Put the garlic clove and lemon slices (if using) on top of the salmon. 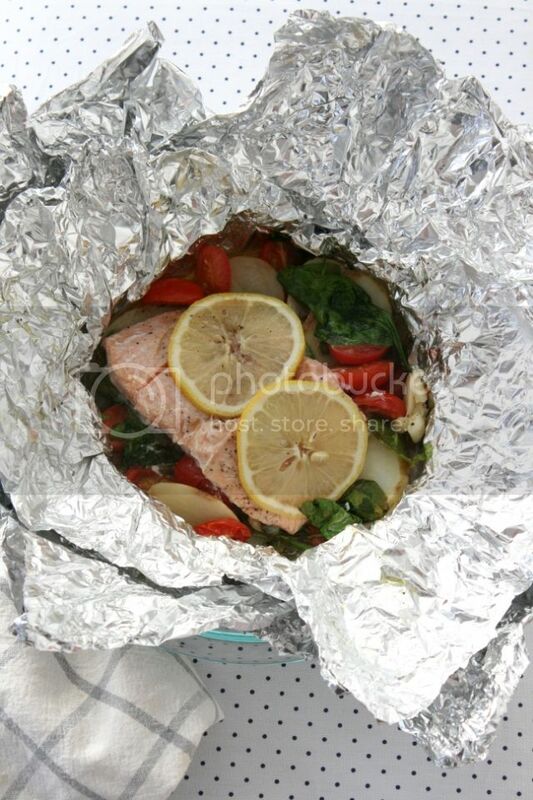 Fold in the foil and tightly seal the packet. 3. Transfer the pie plate to the oven and roast 20 to 25 minutes or until the salmon is opaque. Remove from the oven. Open the foil packet. Transfer to a plate, if desired, or dig right in.